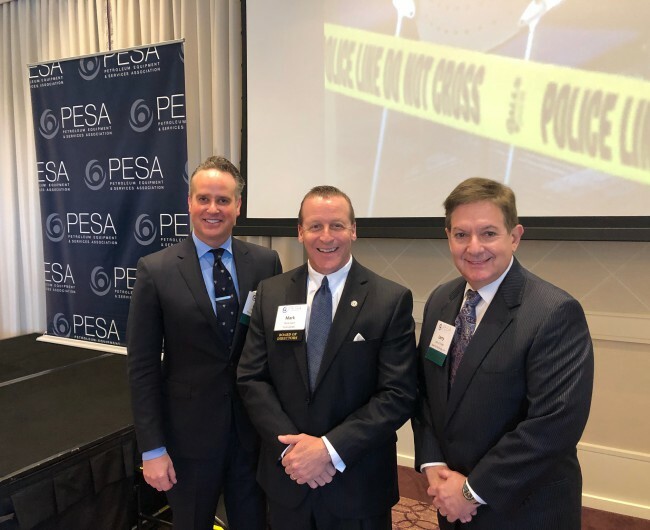 On May 16, the PESA Legal Committee hosted its annual Legal Seminar. This year’s topic was “U.S./China Tariffs: Hear From a ZTE Insider.” The seminar was an opportunity for legal professionals from PESA Member Companies to grow their knowledge of corporate liability and investigatory procedures. Through the lens of one of the biggest Sino-American trade scandals in history, former U.S. attorney Lawrence Finder and Ashley Yablon, General Counsel for Moroch Holdings, Inc. and former General Counsel to ZTE USA, instructed attendees on how to handle the nuances of international business law. In 2011, Yablon was hired as General Counsel at ZTE USA, a Texas-based offshoot of the Chinese tech giant’s Shenzhen headquarters. Just one month into his tenure, the House Intelligence Committee launched an investigation into ZTE’s trade practices with U.S. enemy states. Then in March 2012, Reuters obtained a 900-page packing list detailing the illegal shipment of American made tech components to Iran. This development prompted a subpoena from the U.S. Department of Commerce. Yablon quickly realized that ZTE was involving him in the subversion of U.S. laws. Because attorney-client privilege is waived when a business uses its attorney to commit a crime, Yablon made the difficult but ethical choice to speak to the FBI. His cooperation was exposed in July 2012, turning his life upside down. Today, six years after its transgressions were exposed, ZTE has been the target of crushing punitive measures, including a potential seven-year ban. Its narrative offers critical lessons for attorneys at multinational corporations, as explained by Finder. First, corporations must understand that they may be criminally liable for the actions of their employees. To avoid fault, corporations should be transparent when there is suspicion of wrongdoing, and refrain from shielding individuals. In addition, lawyers should review the Department of Justice policy to ensure their corporation is awarded cooperation credit in such situations. Second, during investigations, both internal and government mandated, it is imperative to consult outside counsel. In some cases, multiple independent lawyers should be retained to cover parallel proceedings. It is also important to consider employees’ legal fees. Depending upon the seriousness of an investigation, the corporation may be obligated to compensate for reasonable fees and expenses. Become familiar with your company’s indemnification policy, and make sure your company has sufficient director and officer liability insurance. Third, and perhaps most importantly, each corporation with international ties should remember to “KYC” – know your customer, know your country. U.S. laws have broad jurisdiction, and there are many more sanctioned nations, individuals, and entities than just Iran and North Korea. Always consult an experienced compliance professional to ensure your corporation is acting within the law, and be aware of common landmines like re-exportation and re-transfer. 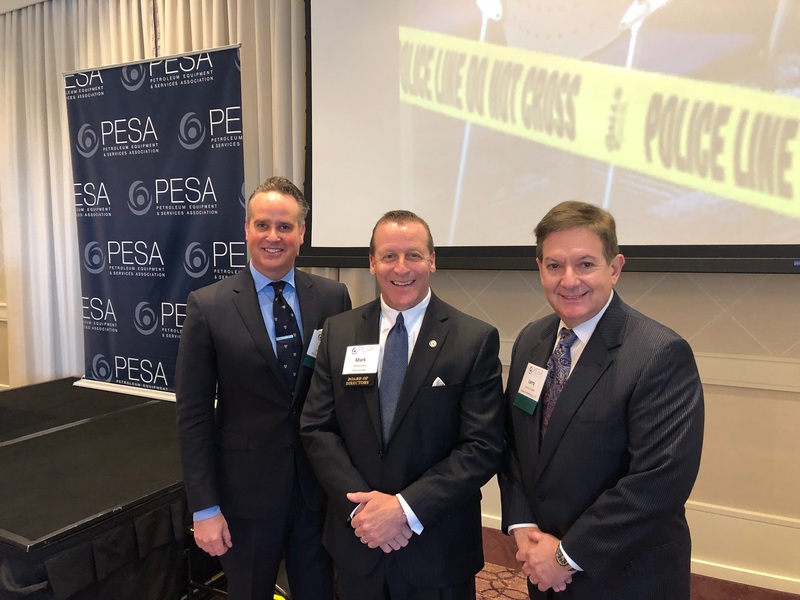 The PESA Legal Committee is comprised of Board Member and Chair Mark Wolf, VP Legal, Surface Technologies & North American Regional Business Unit, TechnipFMC; Vice Chair Alejandro Cestero, SVP, General Counsel, Secretary and Chief Compliance Officer, Frank’s International; Phillip Shotts, Association General Counsel and Director of IP, FairfieldNodal; and Alicia Boston, Senior Counsel, TETRA Technologies. If you are interested in joining a PESA Committee, please contact Molly Determan, VP Communications & Member Relations.